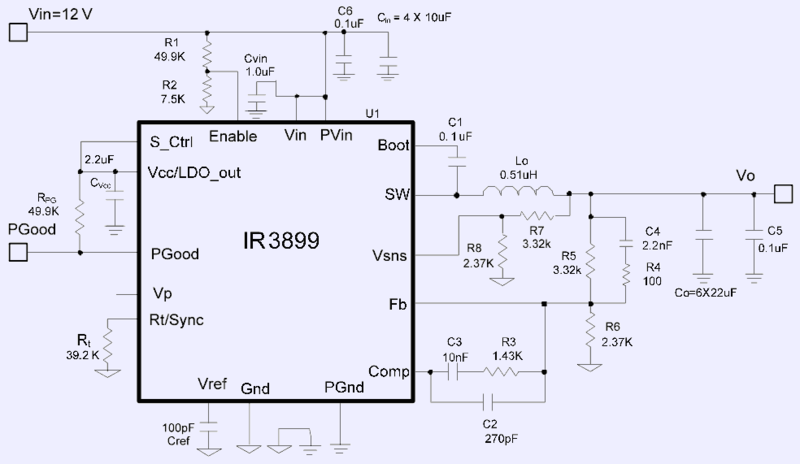 This page will help to configure IR3899 and calculate component values for your application. This calculator is suitable well also for most of other voltage-feedback power converters. Enter corrent voltage reference (TL431 = 2.5V, Lot of LDOs 1.25 or 0.8V), and resistance divider R5,R6 values to get output voltage.